Learn about the history of biotechnology, life science, medical device, nutraceutical, and pharmaceutical companies and industry in British Columbia. We also invite you to explore British Columbia Life Science Genealogy, a one-of-a-kind image that illustrates the founding technology origins more than 100 life science firms located in the province. Specifically, the origins of the companies' founding technology with the province's universities and non-profit research organizations -- longstanding centers of innovation, technology transfer and job creation. 1908 -- The University of British Columbia was founded. The University of British Columbia (UBC) was founded in 1908 by The University Act. In 1910 a site was chosen at Point Grey just outside Vancouver, but the university had to postpone building due to the outbreak of war in 1914. The school used the former McGill college site in Fairview until 1925. Today the university enrolls over 40,000 students and holds an international reputation for excellence in advanced research and learning. The university has three campuses within the city of Vancouver as well as a small campus in Kelowna, BC called UBC Okanagan. UBC ranks in the top 10 of universities in North America creating spin-off companies with over 120 companies formed. It is estimated that between 25 and 40 million people died from the the influenza outbreak that began in 1918, swept across around the world in three months. In Canada more than 50,000 people died and all parts of the country were affected. Additional information about the Spanish influenza pandemic, including audio interviews, photographs, teacher guides and more can be found through the The American Influenza Epidemic of 1918-1919: A Digital Encyclopedia, PBS's The American Experience, Centers for Disease Control, National Vaccine Program Office and The Canadian Encyclopedia: Pandemic. 1919 -- Stanley Cup playoffs between the Montreal Canadians and Seattle Metropolitans cancelled by Spanish flu. On April 1, 1919, the Stanley Cup playoffs between the Montreal Canadians and the Seattle Metropolitans ended tied at 2-2-1 after the city of Seattle health department called off the series. Several of the Canadians and Seattle players caught the flu, and recovered. On April 5, 1919, five days after the final was cancelled, one Canadian player Joseph Henry “Bad Joe” Hall, the oldest player in NHL hockey, succumbed to pneumonia. He was posthumously inducted into the Hockey Hall of Fame in 1961. He was 37 years old. George Kennedy, manager of the Canadiens, tried to forfeit the Cup, but Pete Muldoon, manager and coach of Seattle, declined. The series was ruled a tie and the Stanley Cup was not awarded in 1919, for the only time since it's inception in 1893. The Metropolitans won the Stanley Cup in 1917 when they defeated the Montreal Canadiens. 1991 -- LifeSciences British Columbia (BC Biotech) was founded. LifeSciences British Columbia , formerly known as BC Biotech and founded in 1991, is a not-for-profit, non-government, industry association that supports and represents the life sciences community of British Columbia through leadership, facilitation of investment and partnering, advocacy, and promotion of world-class science and industry. 1993 -- Michael Smith was awarded Nobel Prize in Chemistry. In 1981, Dr. Smith joined with Ben Hall and Earl Davie of the University of Washington, to be a scientific co-founder of Seattle-based ZymoGenetics. Beginning in 1988, ZymoGenetics served as the primary U.S. discovery arm of Novo Nordisk, contributing to the development of several of Novo Nordisk's current marketed products and pipeline candidates. In 2000, the company was spun off as a public company. In 2010, Bristol-Myers Squibb acquired ZymoGenetics after entering into a strategic collaboration to co-develop PEG-Interferon lambda. 1993 -- The CRISPR-Cas microbial adaptive immune system and its function was discovered. In 1993, Francisco Mojica at the University of Alicante in Spain was the first researcher to characterize what is now called a CRISPR locus (Clustered regularly-interspaced short palindromic repeats). In 2000, Mojica recognized that what had been reported as disparate repeat sequences actually shared a common set of features, now known to be hallmarks of CRISPR sequences (the term CRISPR was coined through correspondence with Ruud Jansen, who first used the term in print in 2002). In 2005 Mojica reported that these sequences matched snippets from the genomes of bacteriophage. This finding led him to hypothesize, correctly, that CRISPR is an adaptive immune system. Another group, working independently, published similar findings. Biotechnology Industry Organization BIO is the world's largest trade association representing biotechnology companies, academic institutions, state biotechnology centers and related organizations across the United States and in more than 30 other nations. BIO members are involved in the research and development of innovative healthcare, agricultural, industrial and environmental biotechnology products. 1998 -- Vancouver Prostate Centre was founded. Vancouver Prostate Centre, founded in 1998, has become Canada's leading prostate cancer research and treatment centres. The mission of the Vancouver Prostate Centre is to foster the paradigm of team-driven translational health research to discover molecular mechanisms of cancer progression and therapeutic resistance, and to use this information to develop new services and products that reduce suffering, improve survival for patients with cancer and promote regional growth of biotechnology. Today, more than 2,500 patients are seen annually by the Centre. To facilitate development of the patented therapies through clinical trial, Dr. Martin Gleave, Director of Clinical Research at the Prostate Centre, founded OncoGeneX Technologies Inc., an early stage biotechnology company using the Prostate Centre's lead compound. A second Vancouver-based functional genomics company, Aquinox Pharmaceuticals, was founded in 1999 to commercialize novel, proprietary functional genomics platform technologies that provide tools aimed at enhancing the speed and efficiency of discovery and validation of targets for drug- and antibody-based human therapeutics. 1999 -- Canada's Michael Smith Genome Science Centre was founded. In 1999, Michael Smith, recipient of the 1993 Nobel Prize in Chemistry, founded the Genome Sciences Centre in British Columbia. The Michael Smith Genome Sciences Centre has a primary mandate to develop and deploy genomics technologies in support of life sciences research, and in particular cancer research. 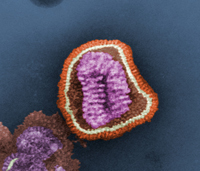 In 2003, researchers at the centre were the first to sequence the SARS genome, an important step in the development of a potential treatment and vaccine. 2000 -- Genome British Columbia was founded. Genome British Columbia, founded in 2000, is one of six Genome Canada centres across the country. Genome Canada is the primary funding and information resource related to genomics and proteomics in Canada. Genome British Columbia is a research organization that invests in and manages large-scale genomics and proteomics research projects and science and technology platforms focused on areas of strategic importance such as human health, forestry, fisheries, ethics, agriculture and the environment. By working collaboratively with all levels of government, universities and industry, Genome BC is the catalyst for a vibrant, genomics-driven life sciences cluster with far reaching social and economic benefits for the province and Canada. If you are aware of a notable event or person at your company or organization that should be included in British Columbia Life Science History, please e-mail us at: suggestions@inforesource.org. British Columbia Life Science Genealogy(TM) . British Columbia BioEvolution(TM) © Info.Resource, Inc.